On March 16, 1968, Robert F. Kennedy declared his candidacy for President of the United States in the U.S. Senate Caucus Room, the exact location where his late brother John F. Kennedy had proclaimed his candidacy in 1960. Today, which marks 50 years to that day, Netflix announced that acclaimed director Dawn Porter's (Gideon's Army, Spies of Mississippi, Trapped) new original documentary series Bobby Kennedy For President will launch globally on April 27, 2018. Executive produced by Laura Michalchyshyn and produced by RadicalMedia, Trilogy Films and LooksFilm, the eye-opening and transformative four-part series utilizes rare and never-before-seen archival footage - much of it digitized for the first time - along with new interviews with those that worked closely with RFK and knew him well. 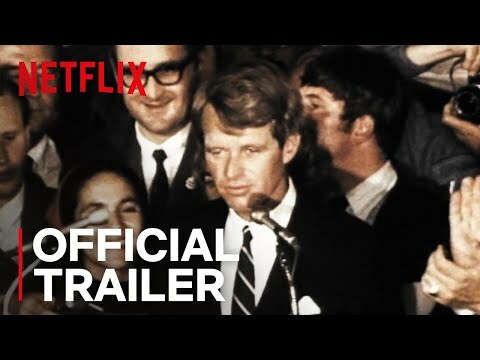 Bobby Kennedy for President Season 1 was released on Netflix 356d ago in the US and the UK. Notify me when Bobby Kennedy for President Season 1 is available.